If you live on the east coast, than you’ll have enjoyed some truly fantastic weather of late. Now, I say “enjoyed”, but there’s one negative sentiment that is likely shared by nearly every man that trudges off to work everyday in a suit: It. Is. Hot. The suit, dress shirt and tie, having been invented in the cool, moderate confines of Europe can feel a bit out of place in the summer in North America (or anywhere else where the temperatures hover around 30 degrees celsius). 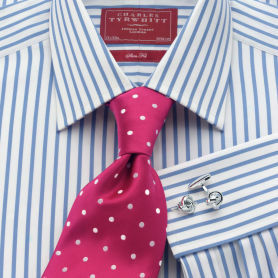 Charles Tyrwhitt is a Jermyn Street shirtmaker that was founded in London in 1986. 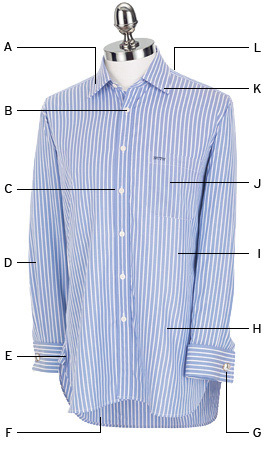 They make great quality shirts and, while I might point you towards T.M. 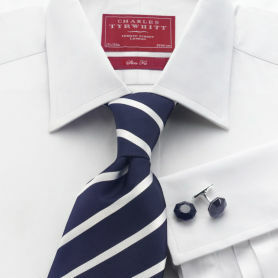 Lewin for your everyday dress shirts, you cannot beat Tyrwhitt for their price on Sea Island shirts. Sea Island cotton is a lighter, smoother and more silky cotton that is sourced from the “Sea Islands” of South Carolina and Georgia. Tyrwhitt’s Sea Island shirts are 100%, two-fold (which means that two yarns are spun together to create a finer yarn than simply a single spun yarn), 140’s (this references the thread count, and 140 is high), Sea Island cotton. You will be very, very hard-pressed to get a more comfortable and heat-friendly shirt at the price Charles Tyrwhitt offers these shirts at. They’re available in either single or french (double) cuffs, and come with mother-of-pearl buttons and complimentary brass collar stays. 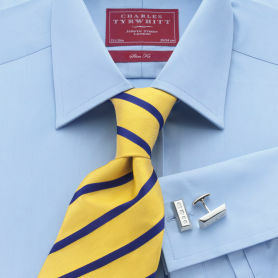 Note: Charles Tyrwhitt is currently offering free shipping and handling with the following promo codes: TWUS for the U.S. site and TWUK for the U.K. site; this deal is on until June 18th. Cheers.